Police in Fairfax County say they're investigating three deaths in Fairfax and Reston stemming from the recent stretch of cold temperatures. 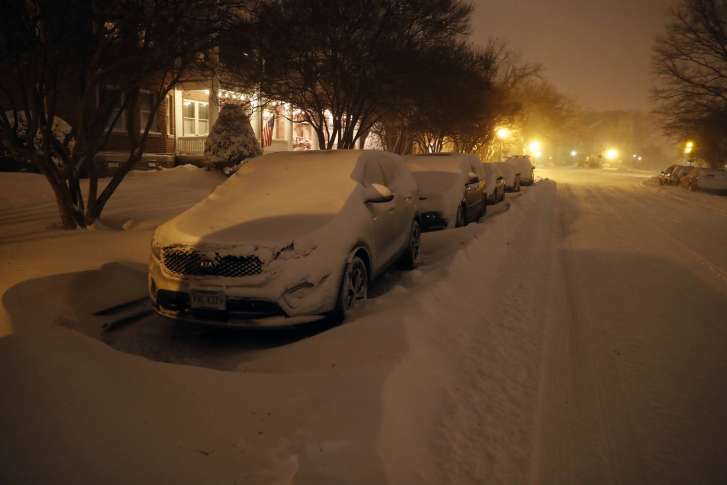 WASHINGTON — Police in Fairfax County, Virginia, say they’re investigating three deaths in Fairfax and Reston stemming from the recent stretch of cold temperatures. On Monday morning, a resident of an apartment complex on the 9800 block of Clifford Drive in Fairfax found a homeless man sleeping on top of the washing machines in the laundry room. Kenneth Perez, 47, was pronounced dead on the scene. That same afternoon, 86-year-old Ida Wilks was found outside in the snow at around 3:30 p.m. after an extensive search at the Sunrise at Reston Town Center assisted living facility. Wilks was transported to a hospital, where she later died. On the evening of Jan. 14, 88-year-old Joan Ackley was found dead outside of the Brightview Nursing Home in Reston after a nearly two-and-a-half hour long search. All three cases are pending results from the medical examiner. Police are reminding the public to check on vulnerable family, friends and neighbors during the cold weather and to call the police nonemergency number 703-691-2131 if someone appears to be at risk of hypothermia.